the power mysteriously went out. How much longer will you survive? themselves as they explore an expansive frozen wilderness in the aftermath of a geomagnetic disaster. There are no zombies -- only you, the cold, and everything Mother Nature can throw at you. Winter wilderness. A mysterious trapper may be the key to finding Astrid, but can he be trusted? Three to Five are included in the price of the game, and will be unlocked for free as they are released. and the music of Cris Velasco. never the answers. You have to earn the right to survive. precious resource. Choose your path carefully. other uncomfortable afflictions), find and maintain your life-saving gear. to come in future updates. Interloper Mode, where only the most experienced survivors have a chance to last a week. ● Survival is your only goal, and death your only end. Make your own survival story with every game. ● Features the music of Sascha Dikiciyan. of WINTERMUTE, as well as updates to Survival Mode along the way. Radical, BioWare, Sony London, and United Front games. Game has been removed from GOG's store catalog and is no longer available for purchase. is this in english or just russian? [ALL] Added new pop-up warning to prevent players from accidentally Eating Raw Meat or Fish when selecting them from the Radial menu. [ALL] Completed a tuning pass on several Cooking variables. Cooking times are balanced more closely (though not identically) to values prior to the Vigilant Flame Update, while still accounting for the benefits of real-time Cooking and multiple Cooking surfaces. [ALL] Fixed issue causing players to get stuck in the bowl object on the second floor of the Camp Office. [SURVIVAL MODE] Fixed Buffer Memories missing the Examine option. [WINTERMUTE] Added new Cooking Meat tutorial to increase clarity around uses for Raw and Cooked Meat in the game. [WINTERMUTE] Removal of Metal Shard at the opening of Episode One now happens automatically. [ALL] Fixed some instances of wildlife not using optimal paths when moving through the world. [ALL] Fixed not being able to stand up from Crouching when in a tunnel or cave. [ALL] Fixed issue where injured Bears reset their status when players enter an interior or Pass Time. [ALL] Fixed not being able to Pass Time when Cooking ruined meat. [ALL] Fixed Hatchet becoming instantly ruined when breaking down a table with a camp stove on top of it. [ALL] Top slot for Drinks in the Radial Menu is no longer reserved for Water only. [ALL] Player’s last Cooking Pot will no longer drop during a Struggle. [ALL] Fixed inaccurate Crafting times when there are fewer than 2 hours remaining to finish Crafting an item. [ALL] Fixed Melting Snow not progressing to Boiling if a player leaves the region. [ALL] Fixed Unsafe Water not continuing to Boil if Stove is relit. [ALL] Fixed improperly focused camera when Harvesting a Moose. [ALL] Fixed quantity of Water displayed in Radial Menu and Backpack not matching. [ALL] Fixed issue causing players to be unable to cancel Fishing in certain scenarios. [ALL] Fixed Notes in Inspection Mode missing the ability to scroll. [ALL] Fixed issue causing the Zoom option to be missing from the Map when using the Steam Controller. [ALL] Fixed issue causing inconsistency around which actions players can perform when inside a Snow Shelter. [ALL] Fixed being unable to place water inside Caves. [ALL] Adjusted space around placed items so players can arrange them closer together. [ALL] Numerous fixes to locations where players can become stuck in the game world. [ALL] Fixed missing texture on the Fishing Line gear item. [SURVIVAL MODE] Fixed graphical corruption in Hushed River Valley Ice Cave. [ALL] Fixed audio not correctly fading in and out on load screens. [ALL] Fixed missing sound effects when a player suffers an ankle Sprain. [ALL] Fixed issue where shooting certain trees with Arrows would cause Moose sound effects to play. [ALL] Fixed issue causing wildlife audio to play when exiting a building. [All] Fixed issue with untextured objects appearing in Hushed River Valley. [All] Fixed issue with invisible collision at the Mystery Lake Forestry Lookout that was preventing players from ascending and descending the stairs. [All] Fixed issue with Cooking audio being too quiet. [All] Fixed potential crash when entering a location where Water was left Boiling. [All] Updated "Use" verbs to better reflect player activity in the game. Verbs should now more accurately reflect intended use. [All] Pass Time Until Ready when Melting snow now stops when snow is melted. Boiling to Purify melted snow is now a separate Cooking action, as before. [All] Cooking times for partial-unit food items now scale correctly. I.e. 0.5 Kg of meat now takes half the full-unit time cost. [All] Wildlife will no longer attack players during accelerated time, unless they were already detected prior to beginning an activity. This addresses an issue where players were being ambushed by predators during accelerated time actions. [All] Fixed Mac keyboard icons for Placement actions appearing on PC. [All] Fixed players being able to use a Recycled Can/Cooking Pot to cook when the item was at 0% Condition. [All] Fixed Quick Placement when using the Steam Controller. [All] Fixed exploit where players were able to restore burned food by placing it back onto an active cooking surface. [All] Fixed Mac trackpad secondary click not being active for Placement. [All] Fixed issue causing previously-killed animal corpses to reappear after updating the game. [All] Fixed issue causing active monitor to change when switching screen resolution. [All] Fixed players losing Placement functionality when interrupting Placement from the Pack. [All] Fixed camera bob persisting after lighting the Storm Lantern while walking. [All] Fixed issue causing players to exit the Fishing UI immediately after catching a fish, instead of being able to continue. [Survival Mode] Fixed issue causing arrows to become invisible after firing them. [Survival Mode] Many minor environment fixes to Hushed River Valley. [Survival Mode] Fixed numerous Hushed River Valley locations where players could become stuck in the terrain. [Survival Mode] Fixed Scrolling in Journal Notes. [Survival Mode] Fixed players becoming stuck in-between rocks near the bridge closest to Draft Dodger's Cabin in Pleasant Valley. [Wintermute] Fixed rare issue where players were permanently afflicted with Cabin Fever in some very old Wintermute saves. [Wintermute] Fixed getting stuck when crouching inside Jeremiah's Cabin during Wintermute Episode Two. [Wintermute] Fixed issue where players were unable to place items inside Jeremiah's Cabin during Wintermute Episode Two. [All] Fixed Crows spawning below ground. [All] Fixed Intro Movie not respecting Master Volume settings. [All] Fixed duplicated resolutions appearing in Options. [All] Fixed FOV being limited to 100. [UI] Fixed inventory actions becoming broken when switching between Keyboard/Mouse and Controller. [UI] Improved responsiveness of Resolution Selector in Options. [UI] Fixed Main Menu flashing briefly before intro video when running the game on Mac or in DX9 mode. [UI] Fixed missing Title when viewing Map Screen in Mountain Town. [UI] Updated Region Description formatting to be more consistent. [UI] Updated UI art to include Climbing Socks. [UI] Fixed Feat progress bars to better represent progress. [UI] Updated Main Menu Custom Mode text to be easier to read. [UI] Fixed Fish appearing with missing or bright colours when taken from a fridge and inspected. [UI] Fixed Earmuffs appearing on Paper Doll when equipping other Accessories. [UI] Moved "Sort" icon in the Inventory screen. [UI] Updated Clothing UI tooltips for all platforms. [Linux] Fixed light shaft rendering incorrectly. [Linux] Fixed audio not playing for some players. [Wintermute] Fixed checkpoint screenshot showing image from previous save. [All] Fixed momentary freeze when opening Inventory for the first time. [All] Fixed Light Source menu being unavailable when Flashlight is the only light source. [All] Scaled size of Fish to work with new cooking system. [All] Consolidated UI actions around a single verb - "Use". [All] Updated controller actions to support new Quick Placement feature. [All] Fixed Aurora not always appearing correctly when player is Passing Time/Resting at specific intervals. [All] Updated cooking surfaces around the world for new Cooking System. [All] Fixed UI not always updating after performing an action such as Purifying water. [All] Fixed Clothing Screen stats not always updating after changing clothing. [All] Fixed Living Off the Land achievement progress being reset when drinking tea crafted from Reishi Mushrooms or Rosehips. [All] Fixed items falling through certain rugs. [All] Fixed missing audio when crafting Tinder from Sticks. [All] Updated instant kill regions on cliff faces to be more forgiving in some locations. [All] Fixed incorrect text appearing when interacting with an active Fire during windy conditions. [All] Updated Disclaimer screen not respecting game language when set to Dutch. [All] Player can no longer eat ruined food from the Inspection screen. [All] Fixed Weak Ice warning persisting if player loads game while standing on Weak Ice. [All] Fixed Bear becoming stuck in animation when not in player’s view. [All] Fixed player being able to become stuck when attacked while Crafting. [All] Fixed Campfire rewarding extra Charcoal. [All] Fixed extra arrow being generated after Harvesting a corpse then saving and reloading. [All] Realigned Wolf positioning when it feeds off a Moose carcass. [All] Adjusted the speed of Rifle shot sound effect when firing indoors. [All] Fixed unintentional movement when player is using the Radial Menu with a Controller. [All] Fixed misaligned blood decal after harvesting corpse. [All] Disabled Radial Menu while holding a stunned Rabbit. [All] Lantern now shows Gallons when Imperial Units are selected. Was showing Ounces previously. [Survival Mode] Fixed Locations Discovered in the Stats screen to account for Regions with variable number of interiors due to ruined structures. [Survival Mode] General fixes for a wide variety of minor locations to make them easier to Survey. [Survival Mode] Fixed rare scenario where WINTERMUTE map could appear in your Survival Mode map list. [Survival Mode] Fixed Moose getting stuck in running animation when it dies while running. [Survival Mode] Fixed not being able to Survey Wolf Carcasses that spawn into the game. [Survival Mode] Fixed arrow trails remaining after firing an Arrow in certain scenarios. [Survival Mode] Removed Stone Church from Faithful Cartographer requirements, as it was causing an issue with legacy game saves. [Survival Mode] Fixed Moose entering hold position when player is holding a light source. [Survival Mode] Fixed wildlife resetting location after player transitions to a new Region/interior. [Survival Mode] Fixed player becoming stuck when saving and loading while on stairs. [Survival Mode] Fixed non-interactable brush near Lonely Lighthouse. [Survival Mode] Improved Moose pathfinding when under trees. [Wintermute] Fixed player being unable to save if they delete all their Story saves, while playing Wintermute. [Wintermute] Fixed several locations where Bear could become stuck during Jeremiah's Folly mission. [Wintermute] Fixed missing textures on Cache boxes. [Wintermute] Fixed controller input registering during Episode One ending, resulting in UI popup. [Wintermute] Autosave option now only appears when playing Wintermute. [Wintermute] Fixed issue where Player could not enter Hank's Hatch during the Episode Two side mission if they unlocked the hatch, but were missing the letter. [Wintermute] Fixed deer carcass disappearing at the opening of Episode One if Player interacts with, saves, then reloads game. [ Wintermute] Fixed Cabin Fever icon appearing in Story Mode, even though the player can not get Cabin Fever in Story Mode. [Custom Mode] Adjusted how Wildlife Flee chance is applied. [Custom Mode] Adjusted loot tables. [All] Fixed missing texture from the Burnt Flare when viewed in Inspection mode. [All] Fixed Smoke "glowing" at night or in fog. [Art] Updated Gun Rack scaling to better match Rifle size. [Enviro] Tweaked many item placements. [Enviro] Fixed numerous locations where objects clip into the environment. [Enviro] Polish pass on all Regions. [Enviro] Fixed floating snow banks. [Enviro] Fixed instances of bushes clipping into trees. [Enviro] Fixed Climbing Rope texture not appearing correctly. [Enviro] Fixed stretched texture on fallen tree trunk. [Enviro] Fixed numerous locations where players could become stuck. [Enviro] Updated various tree groups that were missing collision. [Enviro] Fixed some Ropes being difficult to interact with from the bottom. [Enviro] Fixed floating Rosehip bushes in Timberwolf Mountain. [Enviro] Fixed trees and bushes populating the same location in Desolation Point. [Enviro] Fixed Flag clipping into Lake Cabins. [Enviro] Removed extra exterior window on certain cabins. [Survival Mode] Fixed Moose scratch texture on trees appearing stretched. [Wintermute] Fixed Aurora during Episode One introduction sequence flickering at certain angles. [PS4] Added Italian and Polish translations of all in*game text and subtitles. [PS4] Fixed several memory*related crashes. [PS4] Fixed button prompts flickering when tabbing between menus. [Xbox] Fixed flickering when bringing up the Home Panel via the Xbox button. [Xbox] Added Italian and Polish translations of all in*game text and subtitles. [Xbox] Fixed issue where conditions for Achievements could take an extended amount of time to be reported. [Xbox] Fixed Japanese text flickering when scrolling through certain menus. [Xbox] Fixed screen overlapping when signing out of profile on certain screens. [UWP] Fixed Launching the title in Norwegian preventing Player accessing Survival mode. [UWP] Fixed issue causing mouse to lose focus, resulting in game minimizing unexpectedly. [UWP] Fixed debug info remaining on screen after pressing F8 for a screenshot. [Gameplay] - Fixed rare crash that could occur when lighting a torch from a fire. [Both] Fixed issue where displaced arm animations could appear for certain harvesting actions. [Survival Mode] Fixed issue where items could disappear from the Milton House after breaking down the blanket. [Survival Mode] Fixed issue where stored items would be duplicated and could appear in more than one location at once. This affects the following locations: Lake Cabins, Fishing Huts, Jackrabbit House and PV Crossroads House. Please note this fix only applies to games created using Version 1.21 and onward. [Survival Mode] Fixed issue where a map icon may automatically appear for specific locations when they are entered (ex. Stone Church in Desolation Point) rather than through Charcoal Mapping. [Survival Mode] Fixed issue with the items placed in one location could appear in a different location instead (i.e. we created a teleportation device!). This affects the following locations: Farmhouse, Farmhouse Basement, Dam, Dam Trailers. Note that this fix applies to existing games. [Survival] Fixed the Faithful Cartographer achievement. Fixes are retroactive but may require performing one mapping action per region to update the Achievement "checklist". [Survival] Fixed issue with stored loot being reset in the Pleasant Valley Farmhouse, as well as other (unreported) instances of loot being lost. Previous loot should now be restored. [Wintermute] Fixed issue where player could end up with second, untreatable "Plane Crash Injuries" due to conflict between manual save and checkpoint. [Both] Fixed crash on 32-bit Windows XP systems. [Both] Fixed crash when changing resolution on DirectX 9 systems. Fixed issue where some localized strings were not properly integrated into the game. Fixed issue where some interiors would be duplicated and have duplicated gear items, when playing using a Custom Experience Mode. Fixed issue with code-entry for the Custom Experience Mode appearing "all caps". Fixed issue where Antibiotics were not curing Infections. Fixed issue where all caught Fish had the same weight. Fixed issue where some customization options would not persist when modifying a "baseline" Experience Mode using the Custom Experience Toolbox. Fixed issue where Feats Badges could not be enabled when using a Custom Experience Mode. Progress playing when using a Custom mode will not count towards Feats progression, however, and this is by design. Added the Moose to all Survival Mode regions. Added the Broken Ribs Affliction. Added the Moose-Hide Cloak gear item. Added the Moose-Hide Satchel gear item. Milton is now playable in Survival Mode, as "Mountain Town", including a full Loot and Wildlife pass. New Save System for WINTERMUTE. New Custom Experience Toolbox for Survival Mode. New Worn Clothing Weight Modifier. Added Aurorified Lighting to all regions; these appear when the Aurora is active at night. General art optimizations to improve performance. Reduced opacity of nighttime breath effect. Additional beautification around Pleasant Valley townsite. [Wintermute] Added missing texture to chair in cinematic. Fixed floating bones in Forlorn Muskeg Bear Den. Fixed floating Wood object in Mountain Town. Fixed the sun position in all regions to ensure it rises in the East and sets in the West. General clean up on "out of bounds" areas. [Survival] Fixed inaccessible loot in Turbine Room of Carter Hydro Dam. [Survival] Fixed inaccessible loot under bed in the Coastal Highway Quonset. [Survival] Fixed inaccessible loot in Cave in Mountain Town. [Survival] General loot tuning for Broken Railroad region. [Survival] Fixed inactive container item in Hunting Lodge basement. [Survival] Fixed missing corpses and containers in Broken Railroad region. [Wintermute] Fixed progression blocker related to Wood Bin and Flashlight in the Hunting Lodge. [Survival] Milton is now accessible from both Forlorn Muskeg and Mystery Lake regions. [Wintermute] Fixed missing translated strings for "Lake Gunshots" side mission. [Wintermute] Current episode progress (% Completed) is now displayed as part of Save Game information. [Survival] Fixed issue where player could get into a half-buried car on Coastal Highway. [Survival] UI updates to clarify Encumbered and "buffed" carrying capacity states. [Survival] Loot updates to Pleasant Valley to reflect additional beautifications. [Both] Added numbering to Afflictions in the First Aid UI to make it easier to treat when there are multiple instances. [Both] Fixed some inconsistencies in UIs that presented "cancel" options where that functionality did not exist. [Wintermute] Added some failsafe logic to ensure the Old Bear doesn't get stuck and prevent completion of the Bear Hunt mission. [Both] Reduced Deer carcass quartering time to 60 minutes, to improve balance against Bear and Moose quartering times. [Wintermute] Modified aurora appearance timings after the player completes the Bear Hunt mission in Episode Two. Aurorae should appear more frequently now. [Both] Controller bumpers can now be used to toggle between Harvesting and Quartering interfaces. [Both] Fixed issue where lit Lantern would be dropped during a Struggle, and end up back in the player's Backpack without being extinguished, thereby using up all the fuel. Lit Lanterns will now be dropped in a Struggle. [Wintermute] Fixed issues where items returned from a Trust interaction might not appear correctly in the player's Backpack. [Both] Fixed issue where player camera would be inside the Bear mesh during carcass harvesting. [Wintermute] Fixed issue where player would take no damage when standing inside Grey Mother's fire. [Survival] Fixed an issue where a few tunables in Interloper were defaulting to Stalker settings. Interloper should be more challenging now, as a result. [Both] Fixed some bugs with the Struggle system which could sometimes result in the player losing control. Several UI audio elements fixed. [Wintermute] Fixed bug where lit Flare audio could carry into cinematics. Moved triggers for "night is coming" gameplay VO to ensure they happen before it gets dark at dusk. Modified frequency of exploration music in Timberwolf Mountain region. [Both] The game will now automatically detect Polish and Italian text based on system language settings. [Survival] Added more backer info to Cairns. Improved screen flow leading to Episode Two once Episode One credits are complete or skipped. Episode Two: Fixed issue preventing Jeremiah's Flare Trust mission from triggering correctly. Episode Two: Fixed issue that could prevent Old Bear from progressing to next waypoint in Bear Hunt mission. Episode Two: Fix for Lake Cabin key using the incorrect key asset. Episode Two & Survival Mode: Added Rope Climb to River area in Broken Railroad region. Survival Mode: Tuned Aurora frequency values to make it more rare. Survival Mode: Fixed duplicated gear items in Trailer. Added scrolling for Journal text that won't fit entirely on screen. Fixed issue with gamepad controls when viewing Journal Notes. Fixed issue with Back button returning to Main Menu instead of previous screen when viewing Journal Notes from the Main Menu. Fixed issue with Cairn and Note collectibles not saving to Journal after death. Fixed issue where Flashlight pick-up "hot spot" was awkwardly large. Fixed issue where Backer text appeared as "N/A" instead of the correct English text in translated versions; this text is meant to be left untranslated in all languages. Fixed issue with duplicate Jeremiah Knives spawning in Episode Two. Fixed issue with being able to get past the collapsed bridge in the Broken Railroad region. WARNING: There may be story spoilers in these notes. Fixed issue preventing "Lake Gunshots" mission from completing correctly. Clarified Survival School "Harvestable Plants" mission requires adding plants to crate outside Jeremiah's cabin. Fixed issues with Distress Pistol animation. Fixed issue where storage container in Lodge appeared to be interactive when it was not. Fixed issue where duplicate Trust option appeared for Grey Mother. Fixed issue where Torch Blueprint would not unlock correctly when starting a fresh Episode Two game. Fixed issue where players could return to Milton after completing Episode One. Fixed blocking issue where the Aurora would not appear in Episode Two, between completing the Bear Hunt mission and awaiting the aurora's return to get through the Dam. This fix is compatible with current in-progress games so you should not have to restart to benefit from it. Added missing audio for picking up Astrid's Hardcase on Day 4. Fixed save/restore issue that could result in missing loot in scenes when reloading from a checkpoint. This bug was preventing some quests from being completable after reload. Fixed issue that could cause player to spawn on top of a campfire in "Survival of the Fittest". It should now be impossible to place a fire and then spawn on it the following day. Added some more tools in Milton. Fixed issue with Wolf AI not fleeing correctly when the player throws a lit Flare, Torch, or Stone at it. Fixed issues that preventing the WINTERMUTE soundtrack from playing correctly; you should now hear more music as you explore the world. Modified Fire objective on Day 3 of "Survival of the Fittest" to track how long fire has been burning, vs how long it will burn. Fixed issue where unlocked Crafting Blueprints could carry over to a New game. Fixed issue with Condition tutorial triggering after every death. It will now only trigger once. Fixed issue with Map Marker not clearing after retrieving Distress Pistol in "Light Up the Night"
Fixed issue where looping Wolf "feeding" sounds remained even when the Wolf AI was absent. Fixed issue where feeding Wolves could face the player while still playing feeding animation. Fixed issue where Wolves would sometimes not go into their Hold Ground AI state when approached with a Flare or Torch. Fixed issue with map icon showing up for some Stone spawn regions. Fixed issue where player could get stuck on geometry in Milton. Episode One and Episode Two of WINTERMUTE are now available. Fixed issue with saved Journals not showing written notes, skills or collectibles. Fixed issue with resolutions passed from command line not being used. This fixes issue with game not running multiscreen for some players. Thanks buddies for the upload over here on mail and g drive. Multi up is having trouble here. patch link removed - obsolete. Hello this is Latest version of the game on Please ? masivav, yes, this is the latest gog version. 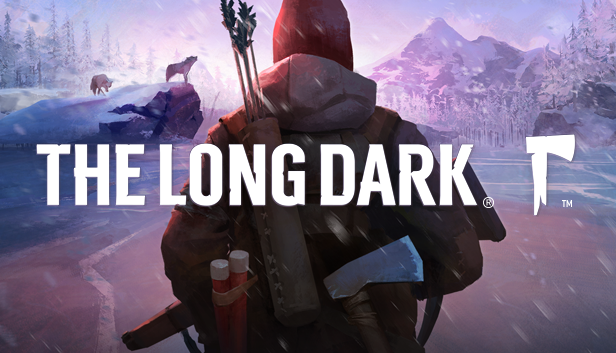 "The.Long.Dark.Update.v1.30-BAT" new update is came. MehmetNY, that is an update for the RELOADED scene release (Steam) version. GOG usually takes a little more time to update their offline installers. No news over at gogdatabase... yet.